Sovereign Wealth Funds (SWFs) - state investment vehicles based on balance of payment surpluses - have come increasingly under the scrutiny of public opinion over the past decade. Their remarkable investments in developed economies have also attracted the attention of politicians, academics and financial operators. At first ignored, then seen as a cause for concern, they finally came to be viewed as stabilising agents amid the troubles of the 2007-2009 financial tsunami. Having sponsored the bailouts of some significant Western banks, SWFs underwent a phase of retrenchment concomitant with the shrinking of economic growth, the bursting of financial and real-estate bubbles and the emphasis on refocusing liquidity on domestic markets that followed in the wake of the crisis. Since the second half of 2009, however, SWFs have adjusted targets and strategies to the new financial paradigm and re-engaged in the global economy, proving to be major players in the international financial markets. The universe of SWFs symbolises a shift in the balance of economic power, with the dominant areas being the Gulf Council countries, China, Singapore, Russia, Libya and Norway. It is also an area of finance that has hitherto remained - and not accidentally - profoundly obscure. This book presents comprehensive research and analysis of this shift, as well as the related issue of transparency. It furthermore brings together the best research and information available on the activities of SWFs, detailing previously hard to find operational information. - What defines a SWF? - When and how did SWFs emerge? - What investment strategies do SWFs pursue? - What are the main financial, economic and political consequences of the operations of SWFs? - What reactions have SWFs triggered in their domicile countries and abroad? - Is transparency in SWFs really important and for whom? - What approach has been taken by international organisations towards SWFs? 'Sovereign Wealth Funds' provides a detailed guide to an area of finance worth trillions of dollars, involving many of the world's governments, and affecting a wide array of sectors. It should prove essential reading for anyone looking to understand this international financial phenomenon. Alberto Quadrio Curzio is Full Professor of Political Economy, Dean of the Political Science Faculty and Director of the Research Centre in Economic Analysis at the Catholic University in Milan. He is Vice President of the National Academy of Lincei and Director of Economia Politica (Journal of Analytical and Institutional Economics). 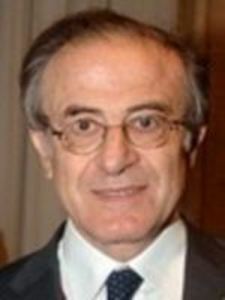 He is a former President of the Italian Economic Association. 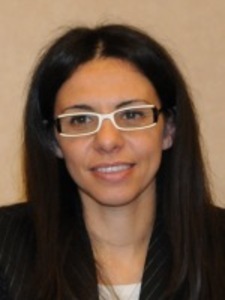 Valeria Miceli is a lecturer at the Faculty of Political Science and a member of the Scientific Committee of the Research Centre in Economic Analysis at the Catholic University in Milan. She received her PhD from the same university.